Dori Grayson hailed from Shreveport, LA and she came to the attention of local record man Dee Marais through the efforts of Willie James, a trained pianist and songwriter. 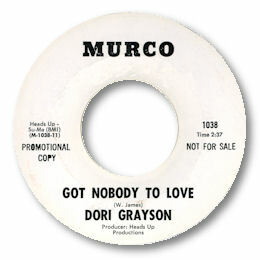 His numbers for her first Murco 45 in ‘68, “Try Love” and “Got Nobody To Love” are fine vehicles for her strong voice. The toe-tapper Try Love swings very well, with an insidious hook that really sticks in the mind. And Got Nobody To Love is an excellent piece of deep soul with Dori pouring her heart out over a dead slow beat. The spare horn charts are particularly effective. And although she never cut anything as heavy as this again, her other 45s are worthy of respect. 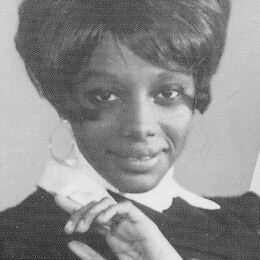 "I Can Fix That For You” has an uptown feel with a fine lilt, and the other side of her second 45 “Never Let Go” is a solid southern groover. The hard driving “Sweet Lovin’ Man” rocks along and the tuneful “Be Mine Sometime” completes a sextet of quality southern soul. These days Dori still lives locally and earns her living as a teacher.